In this modern world men and women prefer to wear exquisite jewellery. It’s considered that trends with respect to men’s jewellery, specifically rings, has now turned out to be a major aspect of male style. The choice and preference of men’s engagement ring range from the ultra-high-end precious stones to the less expensive costume variety. These high-end engagement rings are made using exquisite metals like gold, titanium, platinum, white gold and silver. These may also be created with gemstones or carved with personalized writing to make the piece more discrete. First and foremost, determine as in how much you’re willing and able to spend. The sales person will try hard to get you spend more so what’s your bottom line? Not all men are same but as a thumb rule, size does matter when diamonds are taken into consideration. Remember to maximize your budget well. White gold costs less than platinum, for instance, and appears to be similar. It is next to impossible to portray the difference between 1.9 and 2 carats however the price difference is considerable. Confirm as in what sort of jewellery your better-half wears on daily basis. Keep in mind his fashion tastes- whether he has a classic, modern, funky or vintage taste? You might encounter tremendous amount of varieties. If he prefers a lot of silver coupled with a lot of different designs- then opt for a platinum ring with an intricate design. He might be fond of vintage stuff and would prefer a vintage ring? Does he put on a few understated gold piece of jewellery? Then favour a gold ring with a classic setting. You obviously want to research about the Four C’s of diamonds prior buying so that you aren’t flabbergasted with that. It’s wise to enter the buying process with some of your homework already being done. A money-saving trick is buying a loose diamond and then selecting your setting separately. Another money-saving tip is choosing a lower clarity while determining for a higher colour and cut. The most classic cut is a round solitaire but you will want to know as in what cut your darling prefers. You obviously want to ensure you’re dealing with a quality jeweller and also ensure that the jewellery store possess an accreditation.  GN Jewellers is known for its quality and design and is amongst the most trusted and fine Jewellers in Melbourne. Remember to confirm about the return policy in case your sweetie-pie doesn’t love what you picked. It is always wise that you get your ring insured! If you’re looking for the best gents engagement ring available both offline and online, visit gnjewellers.com.au. and begin shopping!